Before moving to the USA, I lived in South Africa. 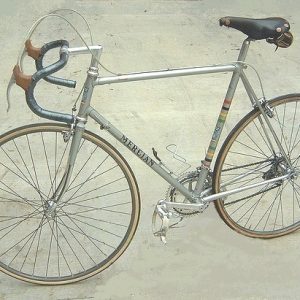 My 58 cm Strada Speciale was custom built for me and shipped to SA, in 1980 – Serial No. 46180 – 2, at the unbelievable price of 149 pounds stirling, including the extra for chromed front and rear ends!! 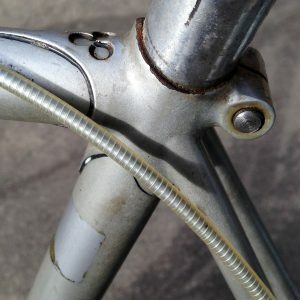 Now after 38 years, it was time for refurbishment with rust creeping in and pitted chrome. 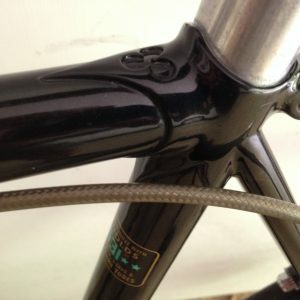 Fortunately I found a great frame builder, Hans Schneider, who is passionate about Reynolds steel frames, in Texas who did a great job. I still have many of the original Super Record components but added a new Stronglite headset. 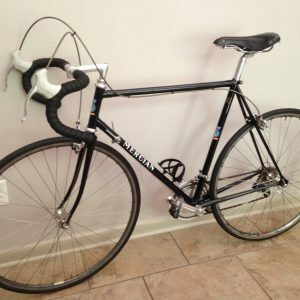 The ride is really super and the bike good as new, if only I could say the same about the 75 year old guy riding it!! Attached are some before and after shots.